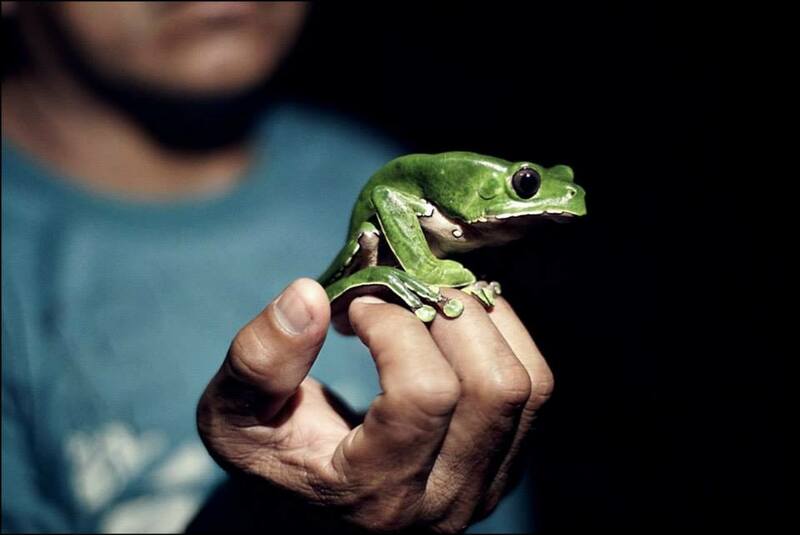 Kambo is a powerful frog medicine used by the indigenous people of the Amazon. As well as having healing and detoxing qualities, Kambo medicine gives a massive boost to the immune system and brings renewed vitality to the body. 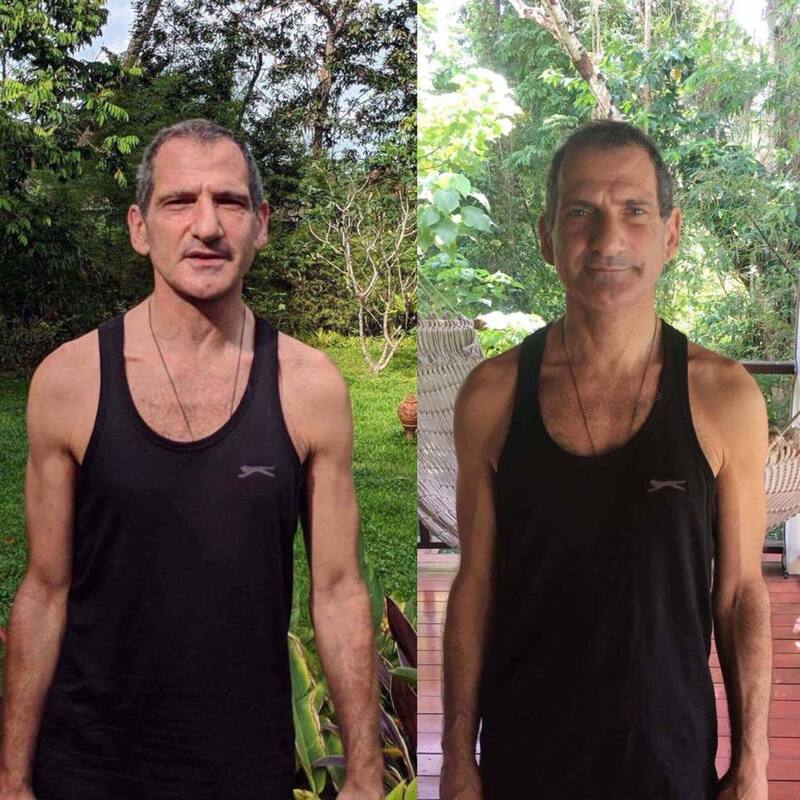 In the photo below you can see how much more alive the body becomes after only one session. It is made in the Upper Amazon Basin from the secretion of the giant monkey frog (Phyllomedusa bicolor), which is native to the region. Kambo has been described as “a fantastic chemical cocktail with potential medical applications, unequaled by any other amphibian” by Italian scientist Vittorio Erspamer of the University of Rome. In essence the secretion of the Kambo containing several dozen peptides and neuropeptides. These include – Dermorphin & Deltorphin — which are powerful pain killers without addictive effects. Phyllomedusin & Phyllocaerulein — Which contribute to purging of toxins amounts other things. Dermaseptin which promotes powerful antimicrobial activity against bacteria, yeast fungi and Tryptophyllins which are Potent against the yeast candida Albans. There is also compelling research that has been carried out by the University of Paris on the effect of Dermaseptin B2 on cancer cells. Is the frog harmed in the process? Kambo used by IAKP practitioners is ethically sourced. Please see this article for more info on how the frog is harvested. It is no coincidence that this medicine has seen keen interest from pharmaceutical companies and there are now 70 patents lodged against synthesised versions of the peptides contained in Kambo. Currently there is research being carried out in the areas to assess effectiveness in working with Alzheimer’s, Parkinson’s disease, depression, migraines, blood circulation issues, cancer, fertility issues, AIDS and Hepatitis. Traditionally Kambo has been an important part of indigenous medicine. Used to treat malaria It had been used to gain strength and stamina for hunting and to eliminate the human odour that reveals to animals that the hunter is there. It is also used for lifting panema which is another name for dark energy or bad luck . Recently there has been a lot of interest in people looking for the Kambo Cleanse effect. Clearing out toxins and bringing clarity to their lives. How does a Kambo treatment work? The Kambo is applied onto small dots which are burned onto the skin. This enables the medicine to enter the body via the lymphatic system: this is the most conducive method of entry for healing. The peptides in the frog secretion trigger chemical reactions in the body, causing the internal organs and intestines to purge toxins, along with a massive increase in white blood cell production. This purge and increase creates conditions for a vibrant and healthy immune system. For a person that is receiving a Kambo cleanse treatment for the first time, a single test point is applied to ascertain the correct dosage of Kambo. A Kambo cleanse offers the body an opportunity to realise its full potential. You are likely to feel rejuvenated and alive following the treatment. What kind of Kambo treatments do you offer? I offer the standard kind of treatments used by several tribes of the amazon. This is to apply the medicine to the left arm for men and right leg for women. However it is also possible for women to receive on the left arm during the first treatment if they prefer. By applying Kambo to specific acupuncture points we are able to work directly with internal organs and address several types of issues. Working with acupuncture systems of the ear from both the chinese systems and those developed by Dr Paul Nosier enables many of the areas of the body to be targeted just from the ear itself. As an advanced practitioner I can offer more advanced treatments for different conditions. For more serious conditions advanced treatments involve planning a course of sessions starting with an initial consultation. For those wishing to go deeper into the process it is possible to book a double or triple treatments. These are treatments taken in succession with a 20 minute gap in between. The benefit of this form of treatment is that it enables the medicine to move more deeply into the body and for its effects to be amplified. A triple treatment is usually carried out over a period of 3 hours. For those of you interested in the Caboclo tradition of doing three times in a moon cycle, it is possible to schedule this type of treatment in advance. Kambo is 100% safe used responsibly in the right hands. 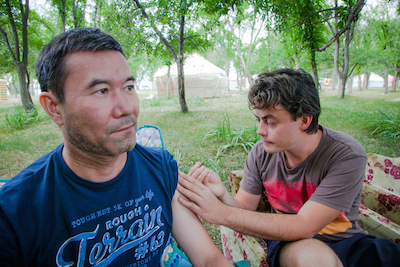 Working with an IAKP Kambo practitioner gives security peace of mind to those receiving treatments. The IAKP Code of Practice lays down guidelines for the safe and responsible use of Kambo including screening out those for whom Kambo cannot be taken safely ( please refer to the section below about Who Can’t take Kambo) and water drinking guidelines to prevent over hydration. People under 18 years of age. Are pregnant or suspect they may be so. Anyone with serious heart issues including past heart bypass operations. Anyone taking medication for low blood pressure. People taking medication for psychological reasons (except anti-depressants) need to discuss suitability in advance. Anyone with a history of psychiatric treatments, or serious mental health needs to discuss suitability in advance. Anyone taking immune-suppressants for organ transplant. The following groups of people may take Kambo but a little extra caution is required. People taking regular high doses of slimming, serotonin and/or sleeping supplements. Someone who has fasted for 7 days before Kambo and who may have a disturbed electrolyte balance. You are or have ever been bulimic or anorexic. You are taking or have recently stopped taking any medications. You are taking or have recently stopped taking any diet/slimming pills. You regularly consume anti-diuretic medication or sports drinks. You have abnormally high or low blood pressure. We strongly advise against enemas, colonics, liver flushes or any water based detox within 3 days either side of taking Kambo. People with asthma need to bring their inhaler with them. Diabetics need to bring insulin, testing strips and extra food. Menstruation flow may increase for 24 – 36 hours following the Kambo treatment. It is completely safe to continue to take any other medication, however please discuss this beforehand. We also strongly advise that you DO NOT consume more than 5 litres of water during a single treatment ( including 2 hours before and after). Something to tie long hair back with. Do not to eat solid food for 8-10 hours beforehand, or any food at all for eight hours before. Drink only light teas or juices for the three hours before. Do not drink excessive amounts of liquid prior to the Kambo treatment. It is required to drink 2 litres before the treatment but the goal of this is to drink 10-20 minutes before the medicine is applied. Please wait until you arrive at the circle before drinking. Do not consume alcohol or other substances for 24-48 hours before or after the Kambo treatment. Try and avoid food that is strong on the liver for one to two days prior to and after kambo. The burns will heal and fade with time (and sun) but depending on your skin colour and type you may have small visible scars. Most people see their Kambo scars as a badge of honour but for those concerned there are number of places that the Kambo can be applied including the legs. After the treatment of Kambo are removed, the points are dressed with a natural tree sap called Sangre de Drago ( dragons blood) which speeds up the healing process and prevents infection. Where can I take Kambo? Currently Kambo is offered by Rakendra in the UK – England & Wales, Ukraine, Kyrgyzstan, Kazakhstan and Thailand. Please get in touch or subscribe to the mailing list if you are interested in doing Kambo in any of those places. Who will be administering the Kambo Treatments? Rakendra is a Master Practitioner of Kambo and is accredited by the International Association of Kambo Practitioners (IAKP). One of only a few master practitioners in the world that is accredited by the IAKP to master level. 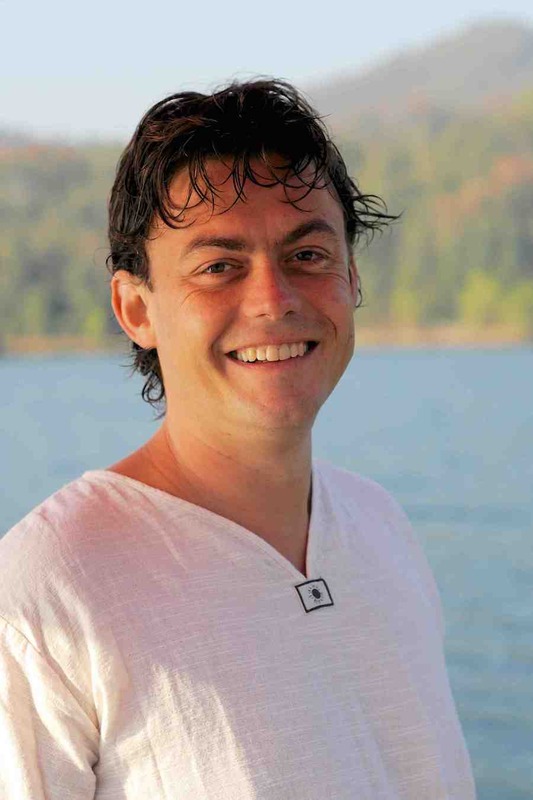 He has studied shamanic healing modalities for more than twelve years and has been working with Body Psychotherapy & Bioenergetics for the last twenty years. The easiest way to book is to subscribe to our mailing list for the latest information about dates, locations and prices.